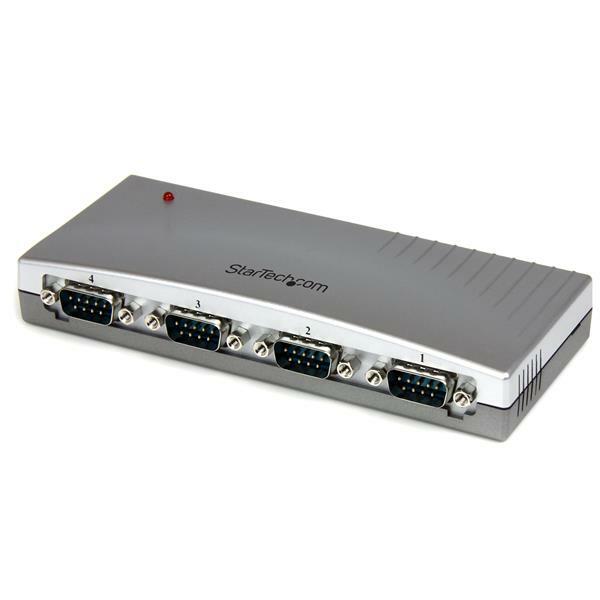 This 4 Port USB to RS232 Serial Hub lets you connect up to four RS232 serial devices to your Mac or PC laptop or desktop computer through a single USB port, as though the computer offered built-on DB9M serial connectors. 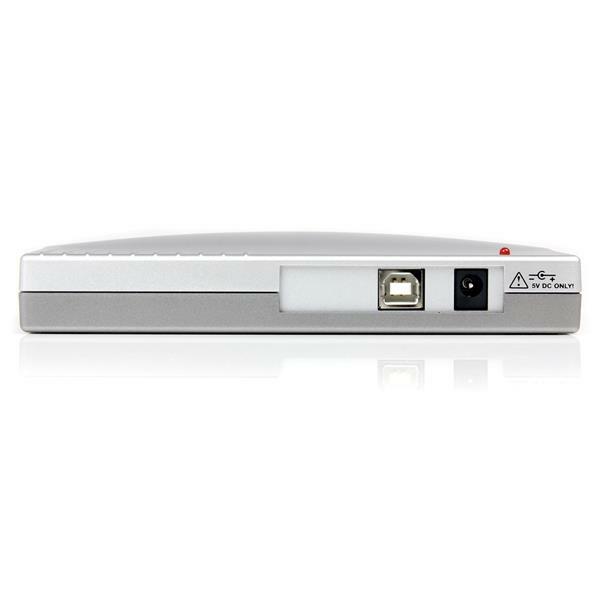 The RS232 Serial Hub is compactly designed to preserve valuable workspace, and is bus-powered to eliminate the need for an external power adapter. 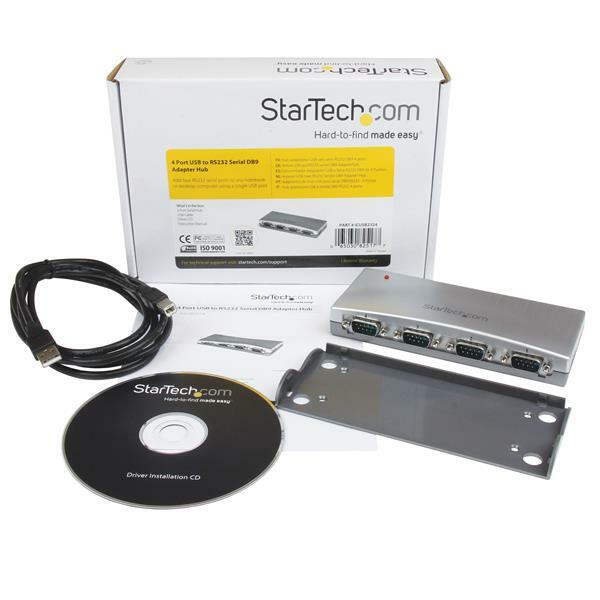 A cost-effective solution that bridges the compatibility gap between modern USB-capable computers and legacy RS232 serial peripherals, this dependable USB/RS232 Serial Adapter hub is backed by StarTech.com's Lifetime Warranty. I am receiving an error when I try to install the drivers in Windows 8 64 bit. What do I do? Some driver installation packages may require you to disable driver signature enforcement in Windows 8, which will allow unsigned driver packages to be installed on your system. Note: Before you continue, save any open documents and close all open programs. Press the Windows key + C.
Click Settings > Change PC Settings. In the left pane, click General. In the right pane, under Advanced startup, click Restart now. Click Troubleshoot > Advanced options > Startup Settings > Restart. When your computer restarts, driver signature enforcement will be disabled and you can install your drivers. Note: When you restart your computer after you install your drivers, driver signature enforcement will be enabled again. This does not prevent your newly installed drivers from working, but does prevent any other unsigned drivers from being installed until driver signature enforcement is disabled. I am receiving an error when I try to install the drivers in Windows 8.1 64 bit. What do I do? Some driver installation packages may require you to disable driver signature enforcement in Windows 8.1, which will allow unsigned driver packages to be installed on your system. In the left pane, click Update & Recovery. In the left pane, click Recovery. Under Advanced startup, click Restart now. I am receiving an error when I try to install the drivers in Windows 10 64 bit. What do I do? You may need to disable Driver Signature Enforcement in Windows 10 to use some driver installation packages. When you disable this feature, you can install unsigned driver packages on your computer. Note: Before you continue, save any open documents and close all of your programs. You will need to restart your computer to disable Driver Signature Enforcement. Click the Windows icon in the taskbar. Press and hold the Shift key and click Restart. When your computer finishes restarting, Driver Signature Enforcement will be disabled and you can install the drivers. Open the appropriate folder for your operating system. Use the serial cable, serial port, and serial device in another setup to see if the problem is with the components or the setup. Use a different serial cable, serial port, and serial device in your setup to see if the problem persists. Ideally, you should test a component that you know works in another setup. Make sure that the COM port number is the correct number for the serial device and that the software being used to connect the computer to the serial device uses the correct COM port number. Note: Some serial devices work only if the COM port number is between a certain range. For example, COM1 to COM4. How can I make sure my serial port is working in Windows? 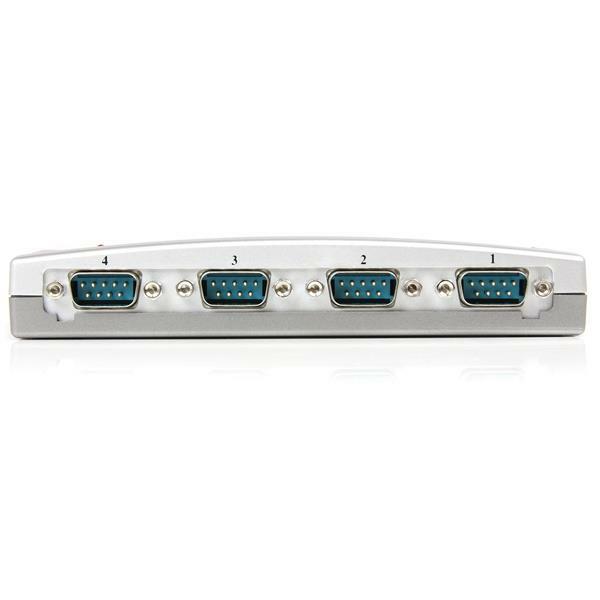 If your serial port is not female, convert it by taking a female/female cable or gender changer and plugging it into the serial port. Take a metal paperclip or wire and cross pins 2 and 3. If you look closely at the female end, the pins should be numbered. Open a telnet session on the COM port number of the device that you are testing. To find out the COM port number, refer to the following FAQ: https://www.startech.com/faq/com-port-listing-windows. Note: To open a telnet session on the COM port, you need a telnet client like PuTTY or Hyper Terminal. Windows XP comes with Hyper Terminal. When the session is open, anything you type into it you should see. The loopback test fails when you cannot see what you are typing. If the loopback test fails, make sure that the serial cable or gender changer that you are using works and that the adapter is in the correct port. You can check multiple ports at the same time by opening multiple sessions, putting the loopback adapter on one port, and trying to type into each session. When you can see what you are typing, you know that the COM port is working and you can see which port number the physical serial port is. Close the window for the port that you just tested to speed up the testing of the remaining serial ports.